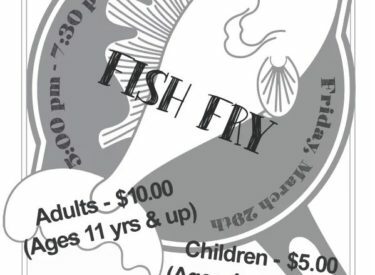 On Friday, March 29, “That” Liberal Band will again be hosting its annual Fish and Chicken Fry at the Seward County Activity Center. The menu is the same as a year ago with fish, chicken, hush puppies, cole slaw and buttery corn on the menu. Iced tea will be furnished, and soda and dessert can be purchased separately for $1 each. The Liberal High School Jazz Program will be providing the entertainment. Tickets may be purchased from LHS band members until March 25, 2019, or they may then be purchased either from the LHS band office at (620) 604-1275 or at the door on March 29. Serving will begin at 5 p.m. and end at 7:30. With the purchase of the new cookers, there is no long line or smoky atmosphere to deal with. Service is fast, and the food is excellent. The LHS Band Boosters feature dine in, or carry out plates and we recommend that patrons go back thru and get a second serving of this delicious food. Tickets are $10 for adults and $5 for kids, ages 4 through 10 years old. The bulk of the proceeds go to help “That” Liberal Band get to offset next year’s competition expenses. The LHS band invites everyone in our community to come to be part of one of the events that make Liberal unique.